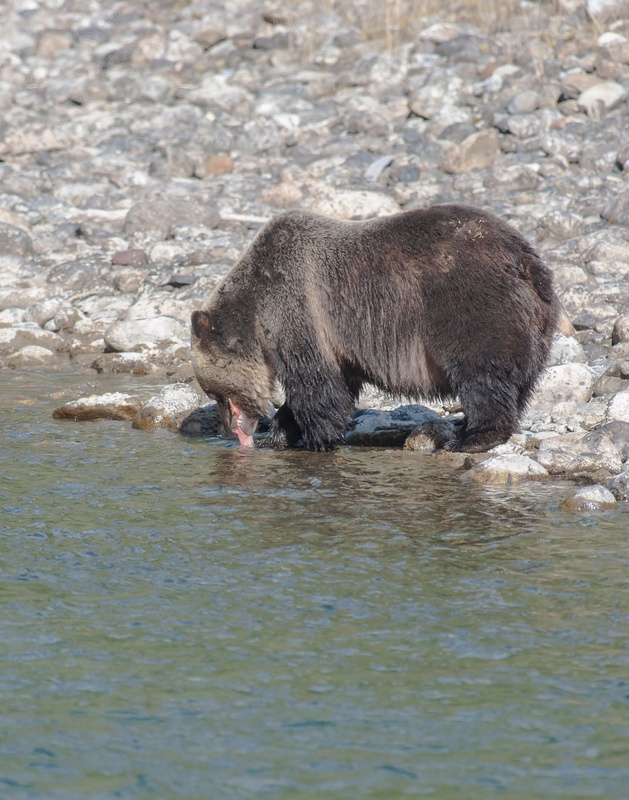 Home › fish › Bears, bears, everywhere! Well, not exactly. 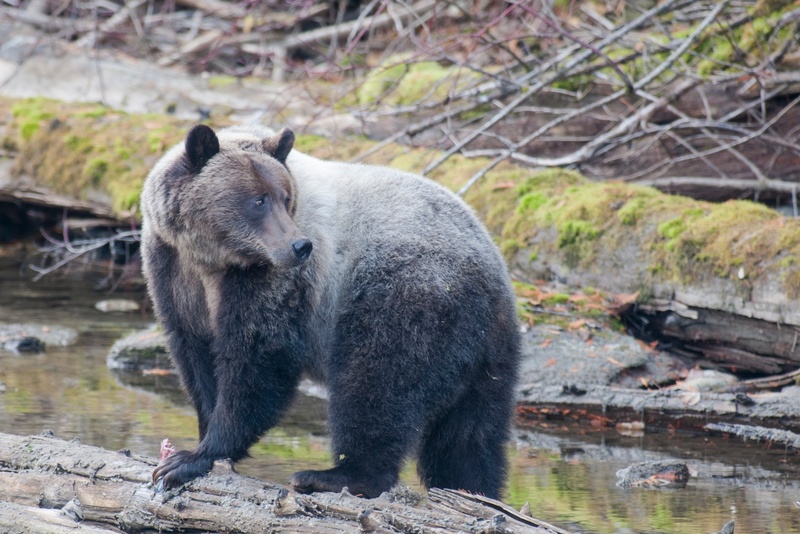 As you have heard already in past posts, the grizzly were very late this fall. But they did eventually show up. And we were fortunate to see six in a couple of days! There were more seen by others, but we were happy with ours. The huckleberries finally gave out and the rush was on for the salmon! Eagles, mergansers, ravens and bears all lined up alone the river and chowed down. The mother of the two cubs from past years was back, on her own. I think we saw one if her cubs as well as two big males (I think). Mom looked very determined in her hunt and was tolerant of all the attention she got. But every so often she would look at us, sadly perhaps, and then go back to fishing. I try to watch for only a short time, especially if they start to look anxious. This is not the time to stress them as they try to consume over 20,000 calories a day (I wish). This fellow was one of the big ones. Even his claws are impressive. This first shot shows him eating away. More to come of him and others in my next post!